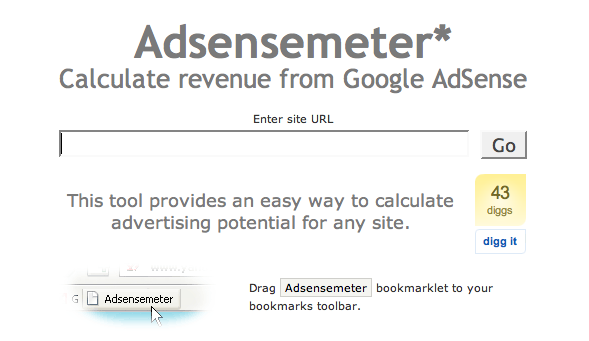 I don’t know how accurate the Adsensemeter can be if it extrapolates a sites Adsense revenue earning potential from Alexa data. It can however provide insight into markets for instance by comparing your site’s Adsense earning potential with that of your competition’s. This entry was posted on June 29, 2007 at 10:09 pm and is filed under Adsense, Adsensemeter, Alexa. You can follow any responses to this entry through the RSS 2.0 feed. You can leave a response, or trackback from your own site.